The War Years - The "BIG A's" rule! This decade saw record growth in ridership. The larger streetcars and the big interurban cars helped to develop the industrial base in the Fox Valley. 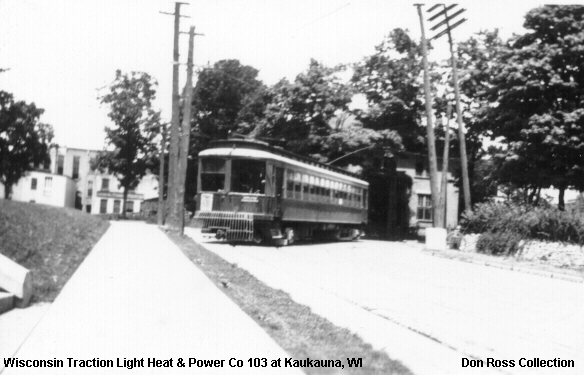 Neighborhoods grew up along the lines and by 1918 the lines had the heaviest traffic densities of any Wisconsin transit system. The parent management continued to develop the ill fated Milwaukee & Fox River Valley Railroad and let Appleton run itself. After the War a few bus lines started to develop and offer competition to the lines. The bus drivers would park outside of the stations ahead of the train schedule and try to steal passengers away. Soon the buses took a more direct route and ridership grew. This scene became common in all cities during this period. The automobile also started taking away passengers by 1920. 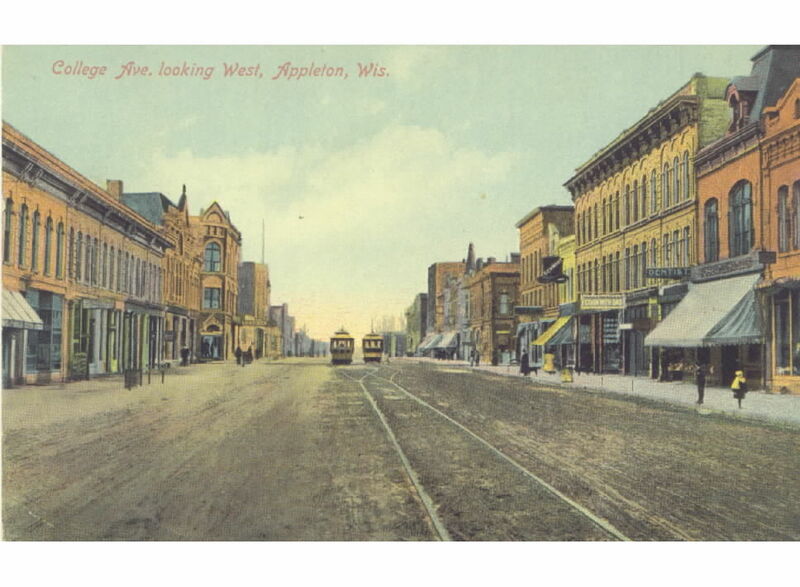 Colored postcards of College Ave were popular in 1911.